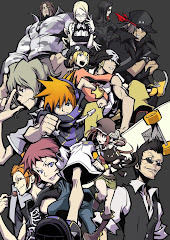 With darksiders reviewed and done with, its time for a new character to take the title of best game character! Thanks for your time Ulthane, but its time for a new challenger! 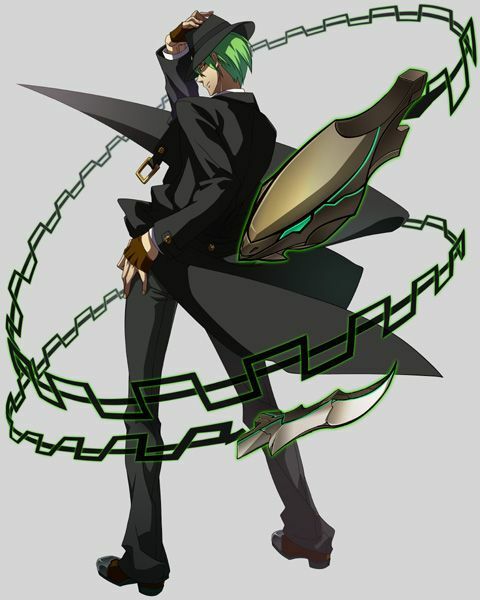 Introducing, the antagonist and my personal favourite character of the Blazblue series, Hazama! 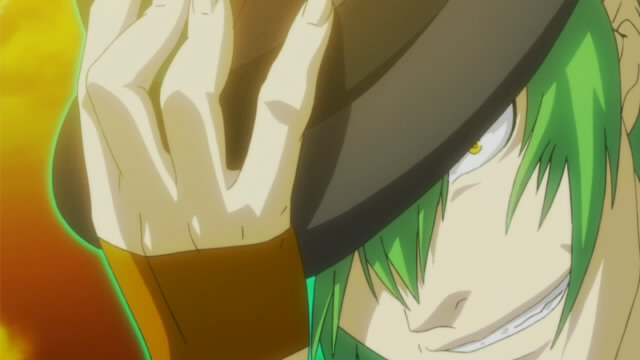 Hazama is way cool. Though he looks like your everyday average joe wearing some formal suit and a coat, hes actually one hell of a maniacal badass. The individual that was once one of the six heroes, yuuki terumi, has now taken a body and has a new name, hazama. Though he himself is the captain of the intelligence squad by rank, he has one hell of a scheme brewing, and is ready to beat down whoever that stands in his way of achieving it. Hazama's ultimate true plan is to awaken the murakumo unit, using the body of noel vermillion, and enbodying it with the power of the azure to form the ultimate god slayer, kusanagi. With kusanagi, he intends to kill the master unit, amaterasu. Of course, he goes through quite alot to achieve this. For one, he sends noel on a mission to locate Ragna the bloodedge, this is however, just a cover-up. 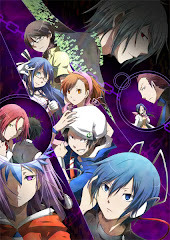 In BB:CS, Hazama sends tsubaki to locate noel and bring her back, and in the process, makes her go through a whole ton of crap which makes her remember certain events and eventually bring herself to hate noel. He wants to eventually form the life link through this chain of events. Making 2 best friends kill each other, you gotta admit, is truly evil. Of course, he even makes things worse. When noel becomes mu-12, she ultimately ends up being his "weapon", while tsubaki eventually becomes consumed by the izayoi and looses her sight. Under hazama's manipulation, she soon becomes his underling as well. Not everyday you see an average joe looking so dominating. Hazama has accomplished great evildoing feats on his own of course, but lets not forget that he has 2 equally badass underlings. Phantom, probably the canonically most powerful character in game (strongly resembles nine), and relius clover, carl clover's father. Phantom is pretty much a mystery, she doesnt do much except for performing some space time distortions and teleports. She is however, feared by extremely powerful characters such as jubei and valkenhyne, proving her strenght. Relius is another monster, able to prove just through his conversations that he is powerful enough to take on the likes of a slighty injured jubei and even valkenhyne. Its also stated that hazama himself does not trust him much. With 2 badasses backing him up, how can he even fail? 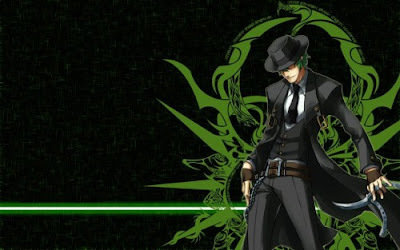 In the past, hazama has accomplished a great feat too, during the time of the six heroes. Thats right, the murder of nine. As yuuki terumi, he managed to kill nine, after she dug too deep into his business and came too close to discovering his plan. 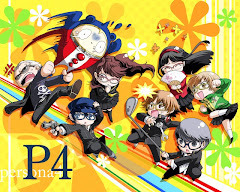 Managing to kill nine of the six heroes...and wife of jubei...thats uber crazy. To display more of his current feats though, he has managed to pysche litchi into joining the NOL too, under his command nonetheless. He ordered relius to capture arakune, whom litchi has been desperately trying to save, and used him as a bargaining chip to make her join the NOL. True ending spoilers here. Hazama also screws everyone up during the true end. During the final showdown between ragna and himself, he won of course, bearing the true power of the azure (BTW, he created it, the one ragna got is bogus). And when lambda jumped in, he just killed her. Ragna, emotionally raged, absorbed lambda's idea engine and managed to beat hazama....but thats all in the plan. Hazama, having being killed, went "up above" and killed takaghamara (not sure about spelling here), revived himself and has probably became even stronger. Even with mu-12 defeated, he probably still has a shitload of schemes brewing inside that sinister mind of his. Indeed, you dont want to piss him off. Of course, hazama is no slouch during combat. He trashes the whole playable cast like nothing during each of the final battles in thier arcade endings. Plus, he is able to travel through the continuum shift. In the recent continuum shift 2, after each of the final scenes where mu-12 awakens, he says that he has discovered a "new possibility" of the continuum shift. What if he discovers and finds out all of the possibilities....that can be quite a problem. Like it or not, hazama is great, not just as a villian, but as a character. Everything he plans and schemes manages to fall into place, SOMEHOW. Even rachel, possibly another candidate for canonically strongest character, states that she herself will have problems dealing with him, and strongly urges characters such as kokonoe to not challenge him. Never once did anything not go to his plan so far, from what I have seen. What happened during the true ending...priceless. Hazama FTW, he beats every character in BB, EVERY SINGLE ONE. Lets hope he does some more amazing stuff in crisis reversed, definetely hoping for him to pull more crazy stunts!